Everybody needs groceries. Even if you choose to eat out for most of your meals, you will still need to visit a grocery store on occasion. We grocery shop so we can eat delicious meals like this. We don’t eat out very often so visit the grocery store at least once a week. 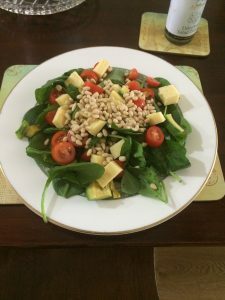 Occasionally we get questions about our grocery spending, so I thought it would be a good exercise to show a typical weekly shop for us and what we do to keep the cost low, but the nutrition and deliciousness factor up. Believe it or not, this can have quite an impact on your grocery bill. Poopsie is our grocery shopper. He usually does the grocery shopping on Friday afternoon, however recently, he has switched to Sunday morning a few times. Poopsie enjoys grocery shopping and I don’t, so this was a bit of a no-brainer for us. However, that’s not the only reason he does the shopping. It probably takes Poopsie about 15 minutes to do our weekly Aldi shop. He goes in with his list and he buys what is on the list. He knows the store well enough that his list is ordered to match the order of things he will come across in the store, cutting down on time. If he needs to go upstairs to Woolworths/Coles, this might add another 10 minutes onto the shop but most of this is walking time. When I shop, I meander. A lot. I like to look around, see what’s on special, see what items are for sale that I haven’t seen before. I will usually slip one or two things in that are not on the list, but these are usually small items that don’t have an enormous impact on the final bill. But the meandering certainly has an impact on the amount of time it takes to get the shopping done. Poopsie hates shopping with me because of my meandering. 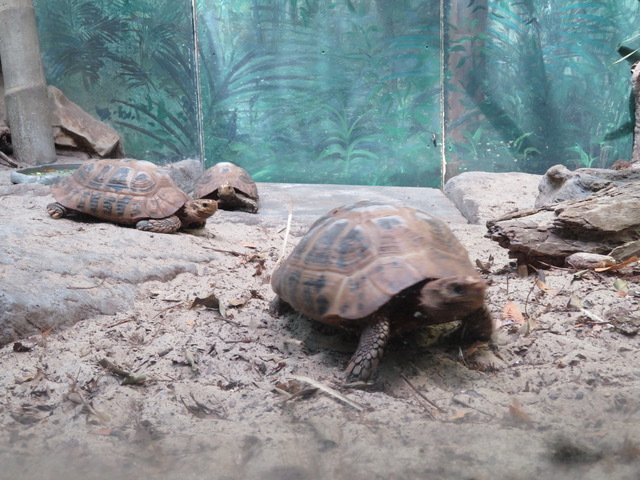 Apparently I shop at a turtle’s pace. So we solve this problem by him doing the grocery shopping on his own. It saves us time and money. Before Poopsie heads to the shop, I do up a weekly meal plan. This just consists of our dinners, as we usually have leftovers for our work lunch. Occasionally we will make something specific for lunch but it’s usually something that we have the ingredients for in our cupboard (like fried rice). Meal planning (and meal prep) is very important. I then write him out a list (on his phone) based on the meal plan and anything else we need (snack food, staples, toiletries). I don’t know the order of the store, so I just make the list and before he leaves, Poopsie reorders it how he likes it. 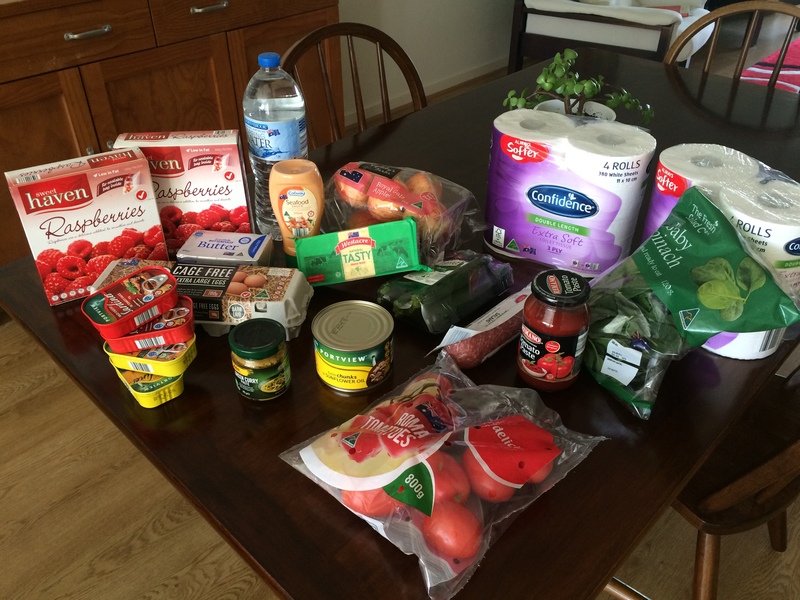 We buy almost everything from Aldi. On average, we spend about $80 a week at Aldi and then maybe another $15-20 at either Coles or Woolworths. There are one or two items that we can’t get at Aldi, like Pad Thai noodles and Pepsi Max, so we have to purchase it from Coles or Woolworths. However, anything else we buy at Coles or Woolworths is bought because it’s on special. Poopsie peruses Oz Bargains each week to see what has been reduced to half price. Pretty consistently, we are able to buy everything we need/want from either of these stores at 50% off. Most of the things we buy are non-perishable, such as Pepsi Max and toiletries, so we stock up! This definitely saves us money in the long run. On the 3rd of March, Poopsie went and did our grocery shop. This particular week he shopped at Aldi and Woolworths. A few days later I went to Coles to buy some Pepsi Max. Usually we would do this all in the one day but I had failed to put it on the list. All up, we spent $89.36. Not too bad. Yes and no. We usually spend around the same amount each week, however, we don’t always buy the same things. This shop was quite low on vegetables, which is quite rare for us, given that we eat almost entirely a vegetarian diet. We usually have potatoes in the fridge, so don’t buy these weekly, and we must have had brocolli and spring onions leftover from the week before as well. 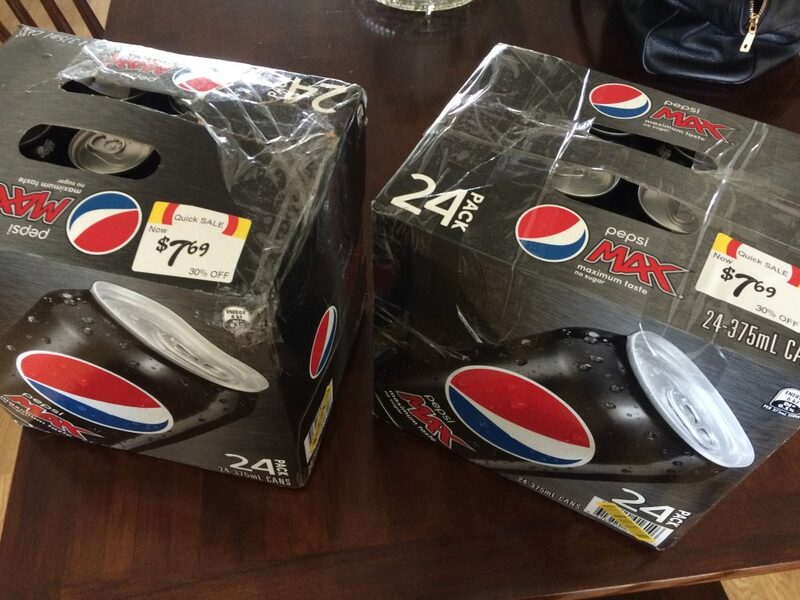 We don’t usually buy two boxes of Pepsi Max, but that deal was just too good to walk past. Given we take the cans out of the box and put in our fridge, the fact that the boxes were taped up meant very little to us. We don’t usually buy bottled water, but did this week to take along to the Adele concert. We also don’t usually buy two boxes of frozen berries but I was doing some baking which needed them. 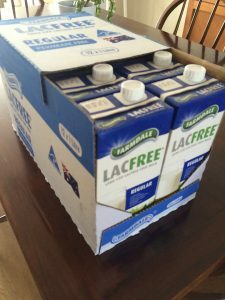 It doesn’t save us any money to buy my Lactose free milk in a box of 12. We merely do it for ease of picking up one large box and putting it into the trolley, rather than selecting individual bottles. Given they’re UHT, they are fine sitting in the cupboard. We probably go through this box every 3-4 weeks. Shampoo and Conditioner can be bought at Aldi for the same price as the Natures Organics one I get from Woolworths. I have a preference for the Woolworths one, however. All three grocery stores are in the same complex, so this doesn’t add a burden. If in the future we move and we have to go to different locations for our groceries, I will try as much as possible to reduce the dependency on Woolworths and therefore will use the Aldi shampoo and conditioner. There we have it! That’s a rundown of our weekly shop. How does this compare with how you grocery shop? What’s your best tip for saving money? Yay for cheese and berries! I’m confused by your shop though – you don’t seem to have any grains / bread / pasta / rice. Did you have to dip heavily into the pantry for this week? I just can’t see how the food listed / pictured comes together. Oooh good question, thanks LadyFIRE. We don’t really eat bread. I can’t remember the last time we bought a loaf of bread. In the past, Poopsie has dabbled with making some baguettes at home, but we don’t really eat it anymore. We occasionally eat wholemeal pasta, maybe once or twice a month. A $1.99 bag from Aldi will last us the entire month, if not longer. Poopsie makes our pizza dough from scratch, so flour is certainly bought on probably a monthly basis. They’re $1.99 for a kilo bag at Aldi and will make us quite a bit of pizza dough, plus supplement the baking I do. We buy a 5kg bag of brown rice from Woolies/Coles when they’re 50% off. This costs under $7 and being 5kg, it lasts us a long time. Brown rice is definitely our carb of choice, we eat a fair bit of it but even still, a 5kg bag lasts us a few months. We eat a fair bit of beans and lentils which we buy for $0.89 a can from Aldi. But apart from that, the vast majority of our meals are heavily vegetable based with a side of rice (curries, stir fries etc.) or big lentil salads. Sometimes we have quinoa in our salads as well, but a bag lasts at least a month. Hope this clears it up! Let me know if you want anymore information, happy to share! Ah rice – my favourite staple! I’d love to see a full Poopsie meal plan one day – Mr. FIRE and I spend significantly more than you do, and we don’t buy soft drinks. I’m always looking for ways to eat healthier and cheaper! I love those 5kg of brown rice at half price! Last time I bought 2 bags and dated them, so I can see how long it takes us to use them up. I also calculated that based on the price, it costs us 63c/cup (uncooked). I eat bread, and since shopping at Aldi I’ve discovered the multi-grain sourdough. It is SO delicious, I love it. I think I shop mostly like Poopsie. I even have a pre-printed list with the most common things we buy on it, sorted by section. Neither of us really like shopping or meal planning, so we share both tasks. I tear the list in half, Mr. ETT goes one way, I go the other, and it’s all done pretty quickly (especially now we shop at Aldi). It’s also easier for one of us to sit outside while the other ducks into Woolies for anything we need. Thanks for the link to Oz Bargains – I didn’t know about it. I will definitely add it to my weekly routine to check out what is half price. Fantastic! I think they’re on sale at Coles until tonight, so we’re going to grab one after work today! Recently I started buying frozen vegetables. I used to be concerned that frozen veggies would have less nutrients, but some nutritionists are saying that it’s simply not true! Its definitely a little cheaper, but more importantly saves me a lot of time having to wash the veggies thoroughly before cooking. 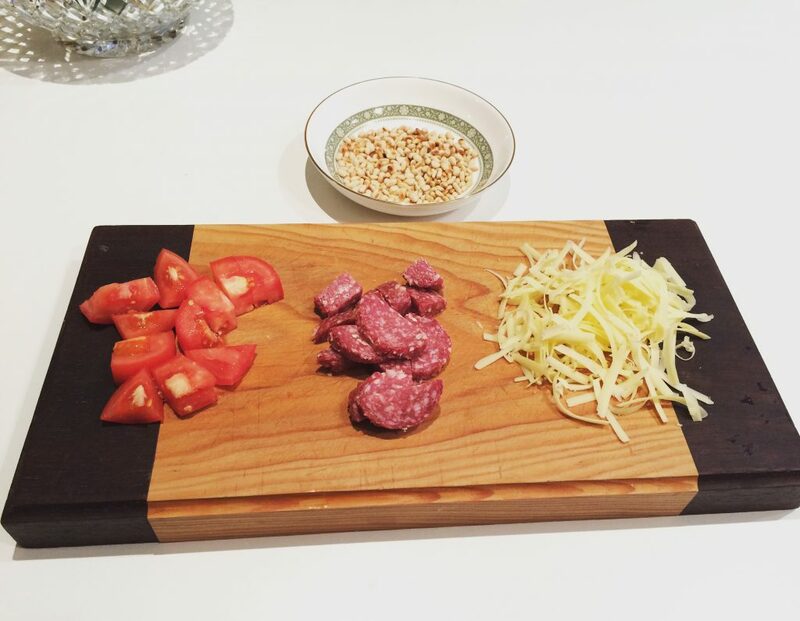 Maybe Mr DDU and I eat a lot but that doesn’t look like breakfast, lunches (made at home and taken to work) AND dinner for a whole week – but yeah maybe we are just bigger eaters. Or maybe you had a lot of pantry items already? I did see the comment that you buy brown rice in bulk, so that could explain some of it :). Do either of you buy your work lunches out? Nice work on keeping your shopping low either way! We spend quite a bit more than that, because we don’t really eat grains/potatoes or any of those cheaper filling carbs, mostly just fresh produce, dairy and meat which does cost us a bit more. Oh I totally forgot to mention breakfast in the blog post! We have oats (porridge) or eggs for breakfast. We have also started making some green smoothies, which usually has spinach leaves, a banana and some sort of fruit in it (that’s what some of the berries in the photo were used for). We don’t buy our lunches at work. We almost always just take leftovers from dinners. We can usually get two smaller meals out of our leftovers, and we freeze these. That way we’re not necessarily eating the same thing we ate for dinner the next day at lunch. By freezing them, we can take to work something we might have had for dinner a week ago. This maintains variety. As I mentioned in the blog post, occasionally Poopsie will cook up a batch of fried rice which we freeze specifically for lunches. I find it interesting look at other peoples shops. I’m certainly not a frugal shopper but only have to buy food for 1-2 days a week. I work with a 24 hr catered cafeteria. Saves me thousands. Thanks for stopping by Jordan. I have since given up Pepsi Max, except for the occasional can when out and about. Keep an eye out tomorrow we have an updated grocery/meal planning post. Sounds like your work cafeteria is awesome!